LAST ROUND:The season has flown by and this weekend will be the last round of the 2015 season. We have had another amazing year, with a record 237 players registered with the club and 5 teams about to start finals football. It’s going to be a huge 5 weeks as we wrap up the season!! AUSKICK:A huge thank you to our Auskick team this year for running a fantastic Auskick program for 44 young AFL players every week, Thankyou Steve, Kylie and Lachlan for your OUTSTANDING effort all year!! Have fun at your Gala Day on the 23rd August. UNDER 9’s & 10’s:Our future has never looked brighter..... Our Under 9’s & 10’s teams have had an amazing year and their footy skills have improved out of sight due to the great coaching. Thank you Alex, Jason, John, Paul, Daniel, Rod and Wayne for looking after the future of our club and ensuring they have the skills to continue their football in the years to come. Even though this is your last round please make sure you get down and cheer the older boys on in their race to Grand Final Day. COMPETITION TEAMS: what a year for all our teams, with 5 of our 6 competition teams securing a spot in the semi finals. Chris and the under12’s you’ve had a great year and really hit your straps towards the end of the season, hold your heads high and look forward to building on the strong foundations for next season. To the 11’s, 13’s, 14’s, 15’s & 17’s the hard work has just begun, train hard as a team, work hard as a team and play every game as if it’s your last......keep your eye on your goal. The entire club is behind you in your race to Grand final Day at Spotless Stadium. Good luck coaches..... GO LIONS!! EPGP TO HOST PRELIMINARY FINALS @ DUKES: we will be hosting the preliminary finals at Dukes Oval on Sunday 30th August for Under 11’s, Under 12’s & Under 13’s. This is a great day to showcase our club and ground. If anyone can help on the day please let us know as it will be a big day. YOUTH GIRLS:our youth girls will play a showcase game at ½ time when GWS take on the Swans at Spotless Stadium on the 22nd August. The girls will also play against Hawkesbury on grand final day at Spotless Stadium between the Under 15’s & Under 17’s Grand Finals. They have 3 more Friday night games and then will prepare for a full competition in 2016. 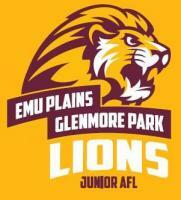 SPORTSMAN’s DAY LUNCH:In September 2015, Emu Plains Glenmore Park Lions Junior AFL club will be having our second Sportsman's lunch to raise money for our club and more importantly The Ronald McDonald Family Room located in the Neonatal Intensive Care Unit at Nepean hospital. The lunch is going to be a club and charity fundraiser. 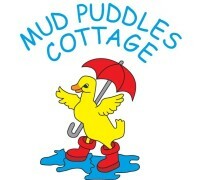 We are hoping to exceed our donation of $16,000 from 2013 and raise over $25,000 for the Ronald McDonald Family Room. One of our aims and core values of our club is to give back to the community so we are going to be giving most of the money raised to the Ronald McDonald Nepean Family Room. The room provides a ‘home away from home’ for families with children undergoing medical treatment in the Neonatal Intensive Care Unit at Nepean Hospital. 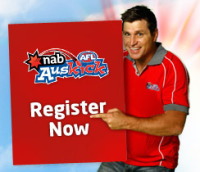 The day will be hosted by Fox Sports Andrew Voss and we will be joined by some great guest speakers on the day. We have a great day planned and spots are limited so please get on board and purchase your tickets as soon as possible. Sponsorship packages are available for the lunch, all sponsorship packages include a table of 10 people and advertising on the day please call Sean Hogan on 0414 637 513 to enquire about sponsoring the lunch. We are currently seeking donations and prizes for the raffles and auctions on the day. In return for your company’s generous donation or gift we will advertise your company in our sponsor’s booklet that will be handed out on the day. If your company would like to donate please contact either Grahame on 0409 661 497 or Megan on 0412 605 249. See you at finals to cheer on our teams........... GO LIONS!!! !